Moving day is quickly approaching, but you don’t feel as prepared as you want. You have a lot of variables to consider, including determining which moving and storage solutions you’ll need, which moving service to hire, and so on. When it comes to making a move, being prepared is essential. That way, when the big day comes, you’ll have a plan and avoid the stress. 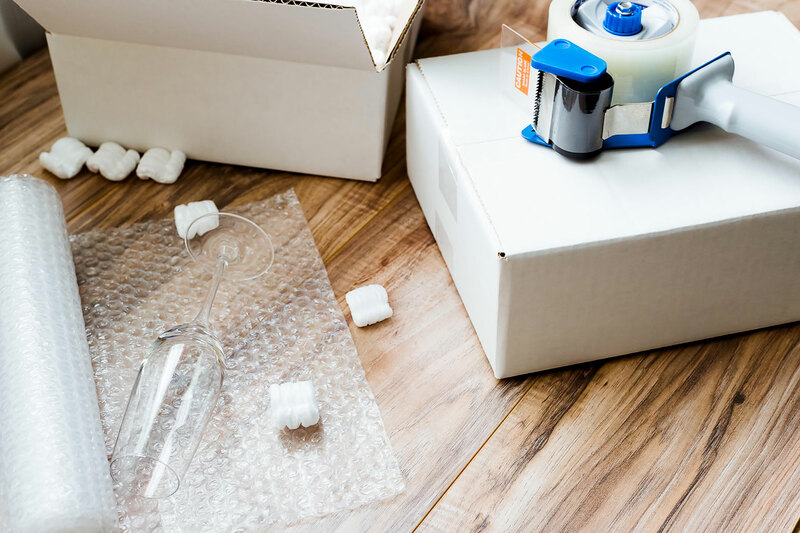 To make your move easier, we’ve put together a comprehensive list of moving tips, how to determine what moving services you’ll need, budgeting tips, questions to ask before you hire a local or long-distance mover, and how to prepare before the movers arrive. Do yourself a favor and bookmark this article for easy reference. Then use the below links to navigate to the section that will help you the most right now. Disclaimer: Moving to or from the Southern California region? We offer comprehensive moving and storage services throughout major Orange County cities like San Clemente, Mission Viejo, Irvine, Newport Beach, and more. Contact us for a quote today and let’s get started with your move! Pack an overnight bag with essentials. Once you get from point A to point B, you’re not going to want to search around for toiletries or clothes to wear the next day. Keep those important things in an overnight bag, so you don’t have to unpack everything right away or figure out where everything is. Get several sizes of boxes. You’ll need a variety of boxes (small, medium, large, and wardrobe size), and you might need more than you think! So, pick up extra moving containers just in case. When you’re packing, keep in mind the weight of your items. The heavier the item, the smaller the box. And don’t forget to grab your moving supplies like moving tape and a sharpie for labeling each box. Label all boxes as accurately as possible. Label what’s in the box and what room that box goes in. If you have delicate items, be sure to mark those boxes as fragile. After all, you don’t want anyone throwing boxes around with glass in them, right? Mark items that you need to unpack immediately. Any box that needs to be unpacked immediately, should be labeled as such. This will separate them from everything else, so you know what you need to unpack ASAP. These boxes would include items such as cleaning supplies, power strips, towels, etc. Forward your mail / update your address. This is a big one! Ideally, you’ll want to notify the USPS at least 4 weeks in advance. Don’t forget to update your address with your bank, credit cards, the DMV, etc. Cancel or transfer your utilities. Cancel or transfer your gas, electric, water, and cable bills. You don’t want to pay for utilities you haven’t used! Whenever possible, transferring is typically best because there might be a cancellation fee. Don’t wait until the last minute. You need to be prepared before your relocation. Try packing everything in small sections; you may want to consider boxing up one room a day. That way you won’t feel overwhelmed, and you’ll have everything done before moving day. Don’t rent the wrong size truck. Make sure you understand how much stuff you have and how much room you’ll need in the truck. That’s one reason why working with local and long-distance movers is such a good idea. They’ll be able to tell you how many boxes your belongings will add up to and what size truck you will need. Protect important and fragile items. First, make a list of things you need to keep with you (i.e., jewelry, medications, cash, etc.). Then, make a list of things that need to be unpacked immediately (which should be labeled). Lastly, make sure you pack fragile items like pictures, lamps, glasses, or plates safely and properly. If you’re not sure, you can always call on a local moving company or a long-distance moving company for help. Label correctly. We can’t reinforce it enough! You live and learn and one of the best moving tips we can give you is to make sure you not only list what’s in the box but what room it goes in. Don’t be one of those people who spends a year unpacking boxes and can’t find the toaster, so you just buy a new one. With proper planning, you can avoid the frustration of not knowing where things are. Partial packing – Some moving companies offer partial packing services. For instance, Coast Valley Moving & Storage offers fragile packing. They have over 45 years’ experience moving antiques, fine china, and more. This will give you peace of mind that your delicate items have been packed in the safest way by a trusted, knowledgeable moving company. Full-Service moving – If you just don’t want the hassle and want someone to take care of it all for you, then go with a full-service mover. Professional experts will ensure your belongings are packed carefully and safely. 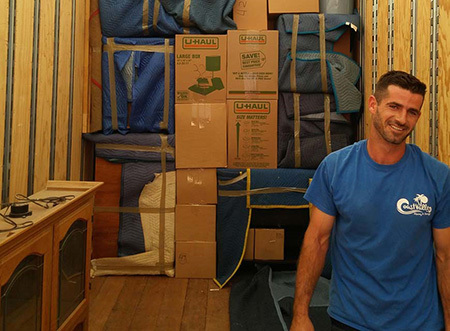 Many movers, like Coast Valley Moving & Storage, offer full service packing where the movers do all the heavy lifting. They pack every box, whether you’re making a local or long-distance relocation. Also, keep in mind, it’s great to find a moving service like theirs that has storage options, too! Short-term storage – Before, during, and after a move, you may need temporary storage solutions to make your transition easier. You can get a storage unit for a short period of time. If that’s the case, ask local movers if they have a short-term storage option. Long-term storage – If you need longer term storage, you can look into warehouse options and other storage units. Again, ask local moving companies if they have storage options as many of them do! Custom Crating – Similar to partial packing, you might just need a moving service to help with packing your heaviest or most delicate items. Coast Valley Moving & Storage offers custom crate options to help you with those needs and store them in their facility if needed. Storage Vaults – Similar to storage pods, you can get a storage vault option to store your household items. Coast Valley Moving & Storage’s storage facility has vaulted options to suit any item you may need to house. Moving containers – Coast Valley Moving & Storage also offers the option to use a moving container. They will store your items in their own storage container before, during, or after your move in their warehouse. Plus, they can also wrap furniture for safekeeping. Budgeting is never easy, but it’s crucial to budget your moving costs. They add up quickly. Below is a quick checklist to take into consideration when making your budget. Moving company fee – This fee includes fuel, labor, and any services you requested (full service move, partial packing, and storage services). On top of that, these fees can change depending on the date that you move, time of day, if it’s a local or long-distance move, etc. On average, a local move could cost around $2,300, whereas a long-distance move could cost around $4,300. Professional packing – Get quotes for full or partial service and determine what best fits your needs, preferences, and your budget. Storage fees – Don’t forget to factor in the cost of storing your items until you’re ready for them! Whether your items are moving cross-country at a different pace than you are, or you want to give yourself time to unpack and set up the essentials while having some “extra stuff” in storage, you’ll find that having access to a storage unit can make your life a little easier. Find out what storage size(s) are available and the price for each, so you can plan accordingly. Insurance – Accidents happen! To protect yourself from any unforeseen incidents, we advise purchasing insurance on the moving truck and your belongings. The cost is minimal compared to the cost of damages or loss but be sure to factor this into your budget. Availability. First things first! Make sure they’re available on the date and time you need them. Costs. What do they charge and what does it include? Ask for price estimates on full-service and partial service moves to determine what best fits your needs and your budget. Storage. Would you like to store some of your belongings before, during or after your move? If so, ask the moving company what options they have available! Local / Long Distance. Let the moving company know where you’re moving to and find out if they can help or if you’re out of their service area, particularly for long-distance moves. Packing. How much packing would like them to do for you? Again, ask about any full or partial services they may offer! Reliability. Always do your homework and read reviews! You want to have a sense of things customers have liked and disliked about their service. Licensed & Insured. This is a big one! You need to evaluate the moving service you might use thoroughly. Are they licensed and insured? Background checks. Don’t be afraid to ask them if they perform background checks on all their movers. Specialty Items. If you want help moving pianos, safes, guns, etc., you need to first verify the company can help you with this. Moving can be stressful. When you add pets into the mix, it can be even more overwhelming. However, it won’t just be hard for you. The whole day can be upsetting for your pet as well. Below are our tips on how to best prepare and make it less stressful for your pets. Before moving day, there are a couple of things you can do to prepare. Prepare an overnight kit. As you start to pack up your belongings, you need to be sure that you don’t pack up things your pet will need. For example, you’ll still need to feed your pet. To prepare for moving day, set aside an overnight kit with food, a bowl for food/water, toys to keep them entertained, etc. Contact your vet for records. If you’re moving out of the area, be sure that you get any records from your vet that you’ll need. You’ll also want to be sure that you have any prescription medication you need before you leave. Now that moving day has arrived, you need a plan for your furry friends. Day care. This is our number one moving tip. If at all possible, it will be best for your pet to go to a boarding/day care for the day. The movers will only make your pet nervous. It’s best to keep them out of the loop until you arrive at your new home. Separate them. If day care isn’t an option, leave your pet in a quiet room with the door shut. The goal is to make them as less stressed as possible. Drive them. If you're driving to your new house, all you need to do is use a carrier and drive them in the backseat. Move them by air. If you’re moving cross-country or internationally, it might be best to move your pet by air. If you go this route, be sure that you look up the specific requirements and standards. Most airlines have very specific needs for your pet’s carrier. Once you arrive at your new home, it’s a good idea to introduce your pet to the new home before moving everything in. Let them explore and bring familiar items so they feel comfortable in the new space. Once you’re all settled in your new home, you’ll still need to do one last thing: Update their microchip info. If your pet is microchipped, you need to make sure that you update the contact info. If you are prepared, moving day should go smoothly for your pets. Get organized. If you’re doing some of the packing yourself, make sure each room is boxed up and ready to load. If the professional movers are packing everything, make sure you have your overnight bag packed. Clean. Go through the house and make sure everything is clean. Do laundry. Pack all clothes in boxes or suitcases. Wash the dishes. Get these ready to be packed! Don’t leave a plate behind. Pack your suitcases. Make sure all clothes are in their proper place. Don’t forget your toiletries. Disconnect computers, stereos, & electronics. Basically, everything needs to be ready to be packed. Mark “Do Not Pack” Items. Set aside items that you’re taking with you and mark them Do Not Pack. You’ll want your overnight bag or anything else clearly marked or put in the car (if you’re driving your car). Drain gas and oil from power equipment. Make sure all power equipment is ready to travel! If you’d rather skip the moving day headaches, contact us for a free moving quote. Give Coast Valley Moving & Storage a call or fill out our online contact form to get started!